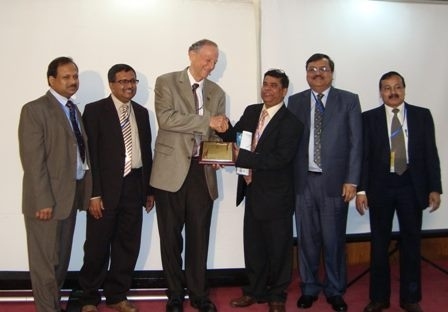 It is our immense pleasure to announce that the 1st International & 2nd National Orthodontic conference of Bangladesh Orthodontic Society (BOS) has concluded its two days conference, 27-28th January, 2012. We, BOS member will remain ever grateful for a series of lectures for about 5 hours by WFO President, Prof Roberto Justus & one hour lecture by APOS President, Dr. Loh Kai Woh. Among others distinguished speakers from Mexico, Singapore, Japan,Taiwan, India, Srilanka, Nepal & host Bangladesh presented their papers. We, BOS members are grateful to all the speakers. There were 400 registered participants. Please find the attached files with brief report in daily news paper of Bangladesh. There were 25 oral presentations & 13 poster presentations. The closing session was followed by cultural events & Banquet dinner at Pan Pacific Hotel, Dhaka. 2. BOS Presented Plaque of Appreciation to Taiwan Association of Orthodontists (TAO) for their support to BOS, received by Dr. Johnny Liaw, Vice President TAO. 3. BOS also received Plaque of Appreciation from Taiwan Association of Orthodontists (TAO) for their support to TAO, received by President, Prof Dr. Md. 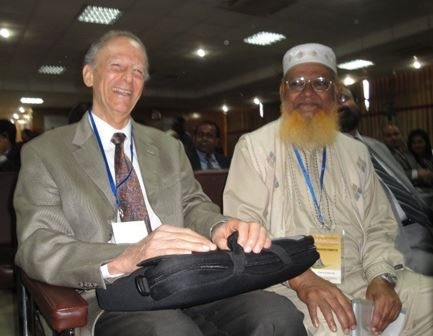 Emadul Haq & Secretary General, Prof. Zakir Hossain of BOS. 6. President (Prof.Md. Emadul Haq) & Vice President (Prof. Abdul Khaleque) of BOS received plaque of appreciation for their outstanding contribution in Orthodontics. Secretary General, Prof. Hossain announced in his speech to stay competitive in international arena, BOS will organize annual conference on regular basis. 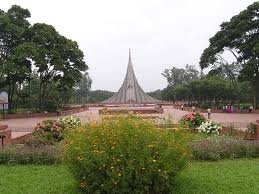 Thanks to all the affiliated member countries to support & uplift of Orthodontics in Bangladesh. We look forward to hear from all affiliated members of APOS.